I’m Ed Smith, a Modesto personal injury attorney. A motorist in a big rig almost crashed into the Ceres Fire Station No. 2 shortly after exiting off from Highway 99 on the morning of Tuesday, December 5, 2016. A big rig driver was traveling along Highway 99 in Modesto. For unknown reasons, the driver drove off the roadway and almost crashed into the Ceres Fire Station No. 2 at approximately 7:30 am. Although the big rig missed the fire station, the big rig did crash into well pipes for the City of Modesto. As you can see in the video, the big rig crash caused severe damage to fencing and the well for the City of Modesto. The impact of the crash caused damage which including flooding and to a parked vehicle. Crews were able to contain the diesel fuel that the big rig was transporting at the time of the crash. Thankfully, the drinking water was not contaminated. The types of injuries have not been disclosed by authorities at this time. However, the driver in the big rig sustained minor injuries and was taken to a local hospital for treatment. Thankfully, fire crews were responding to an emergency call and were not inside the building at the time of the big rig crash. Investigators have not released information regarding an exact cause as to why the motorist of the big rig allowed his vehicle to drive off the roadway. 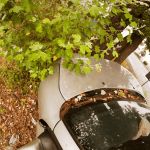 It is important to contact an experiened accident attorney if you have been injured by the negligence of another driver. An experienced attorney knows what to look for to determine fault and can help an injured party recover compensation for their losses. I’m Ed Smith, a Modesto personal injury attorney. If you or a family member has sustained injuries in an accident, please contact me at (209) 227-1931 for free and friendly advice. Or, you may reach me toll-free at (800) 404-5400. I’ve been assisting families from Stanislaus County recover fair compensation for their cases involving their personal injuries and wrongful deaths of their loved ones for more than 34 years. My clients think highly of my law firm. Read their reviews posted on: Google, Avvo and Yelp. I am a member in the California section of the Million Dollar Advocates Forum. Our injury lawyers invite you to browse our Verdicts and Settlements page. Founder of www.AutoAccident.com, the trending automobile accident and personal injury website in Northern California.